For 15 consecutive editions, HANDLING EXPO has proven itself as the perfect meeting place for manufacturers to network and conduct business with customers and suppliers. Since its inception in 2001, HANDLING EXPO has been recognized as the regional manufacturing, trading and networking forum serving the booming markets of the Middle East and North Africa. 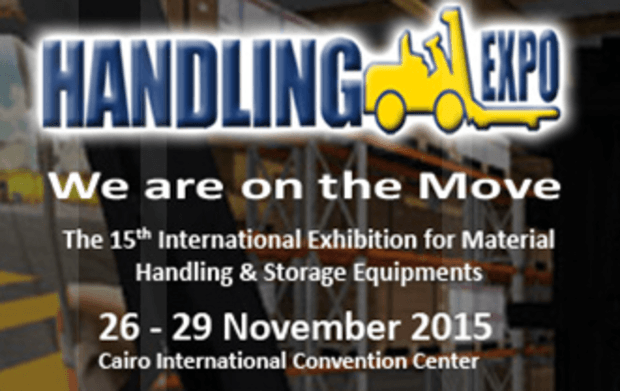 HANDLING EXPO 2015 offers the exhibitors a superlative opportunity to meet face-to-face with qualified trade visitors from all areas of logistics and materials handling from Egypt and the MENA Region. Visitors attending HANDLING EXPO 2015 will be looking to meet new suppliers, find new products, make new acquaintances and form new business relationships.